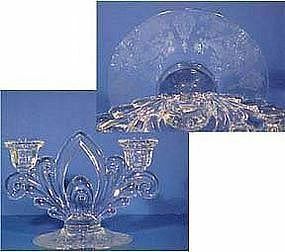 Cambridge Rose Point 6" Candlestick, 2-lite, crystal (Caprice blank pattern). In excellent condition. 8.25" spread, made from 1935-54. Only ONE stick available.